As Christmas draws closer, so too does the traditional BBC adaptation of Agatha Christie, as Sarah Phelps once again brings a classic murder mystery to the screen. This year, it’s the turn of The ABC Murders, as a story of violence and lies sees Poirot face a serial killer known only as A.B.C. If Poirot is to match his most cunning nemesis, everything about him will be called into question: his authority, his integrity and his identity. Wearing the iconic moustache is John Malkovich, with Rupert Grint joining him as Inspector Crome. Nothing says Christmas like an Agatha Christie adaptation, and the BBC has been pulling out all the stops in recent years, from Witness for the Prosecution to And Then There Were None. BAFTA nominated writer Sarah Phelps has given Christie’s work a shot of modern darkness and a chilling Scandi streak, as well as a hefty dose of style. Now, Phelps and the Beeb are teaming up once again for an adaptation of The ABC Murders, with John Malkovich taking on the iconic Poirot moustache, joined by Rupert Grint as Inspector Crome. A new clip gives us our first look at both of them in action, as we join Poirot in the 1930s, a time when the nation is dangerously divided and suspicion and hatred are on the rise. In the midst of this, Hercule faces a serial killer known only as A.B.C. First the killer strikes in Andover, then Bexhill. As the murder count rises, the only clue is the copy of The ABC Railway Guide at each crime scene. Poirot’s investigations are thwarted at every turn by an enemy determined to outsmart him. If Poirot is to match his nemesis then everything about him will be called into question; his authority, his integrity, his past, his identity. This Christmas sees the BBC reteam with Sarah Phelps for The ABC Murders, and now, we’ve got our first proper look at the Agatha Christie drama’s cast. The drama joins Poirot in the 1930s, a time when the nation is dangerously divided and suspicion and hatred are on the rise. In the midst of this, Hercule faces a serial killer known only as A.B.C. First the killer strikes in Andover, then Bexhill. As the murder count rises, the only clue is the copy of The ABC Railway Guide at each crime scene. Poirot’s investigations are thwarted at every turn by an enemy determined to outsmart him. If Poirot is to match his nemesis then everything about him will be called into question; his authority, his integrity, his past, his identity. John Malkovich will play Poirot, joined by a star-studded cast that includes Rupert Grint (Harry Potter, Sick Note) as Inspector Crome, Andrew Buchan (Broadchurch, The Honourable Woman) as Franklin Clarke, Eamon Farren (Twin Peaks, Chained) playing Cust, Tara Fitzgerald (Game Of Thrones, Requiem) as Lady Hermione Clarke, Bronwyn James (Harlots) in the role of Megan, and Freya Mavor (The Sense Of An Ending, Sunshine On Leith) as Thora Grey. You can get your first look at the ensemble below (via Deadline), including Grint’s Inspector Crome. 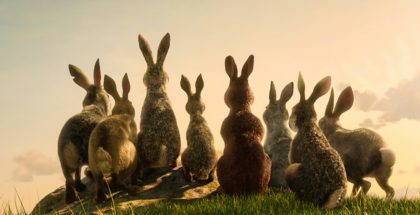 The series is expected to air over Christmas this year, which means this new image will be the first of many teases we get in the coming weeks – watch this space for a trailer and a confirmed UK air date. 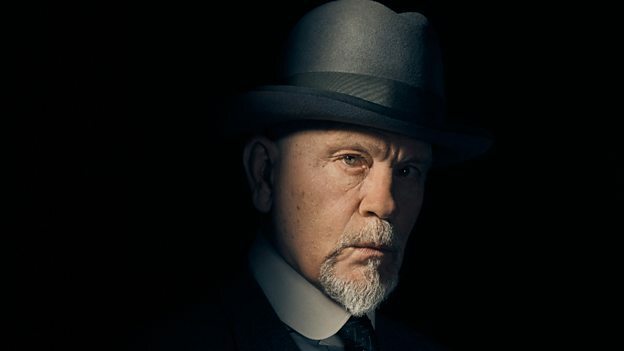 A first-look image of John Malkovich as Hercule Poirot in BBC One’s The ABC Murders has been released – and, to score in on the Branagh Moustache Scale, he’s a 3, but he does have a beard to make up for it. BAFTA nominated writer Sarah Phelps is returning to the BBC to explore the 20th Century through Christie’s work. This time, the setting is the 1930s, a time when the nation is dangerously divided and suspicion and hatred are on the rise. In the midst of this, Poirot faces a serial killer known only as A.B.C. First the killer strikes in Andover, then Bexhill. As the murder count rises, the only clue is the copy of The ABC Railway Guide at each crime scene. Poirot’s investigations are thwarted at every turn by an enemy determined to outsmart him. If Poirot is to match his nemesis then everything about him will be called into question: his authority, his integrity, his past, his identity. Filming for The ABC Murders has begun and is directed by Alex Gabassi (The Frankenstein Chronicles, El Hipnotizador) and produced by Bafta nominated Farah Abushwesha (Irreplaceable You, The Party). 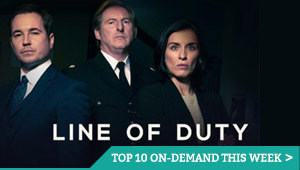 With production underway, the BBC has also confirmed Poirot’s supporting cast, which includes Shirley Henderson (Harry Potter, Happy Valley), Kevin McNally (Pirates Of The Caribbean, Legend), Gregor Fisher (Love Actually) and Poldark’s Jack Farthing (The Riot Club). Also joining the cast in guest roles are Karen Westwood (The Alienist), Lizzy McInnerny (The Crown), Anya Chalotra (Wanderlust), Eve Austin (In The Flesh), Christopher Villiers (Hetty Feather), Suzanne Packer (Keeping Faith), Michael Shaeffer (Rogue One), Cyril Nri (Cucumber), Henry Goodman (Genius: Einstein), Tamzin Griffin (A Fantastic Fear Of Everything), Ian Pirie (Sunset Song), Shane Attwooll (Dark River) and Terenia Edwards (Peter Rabbit). They all join a leading line-up of talent, including Rupert Grint, Tara Fitzgerald and Andrew Buchan. 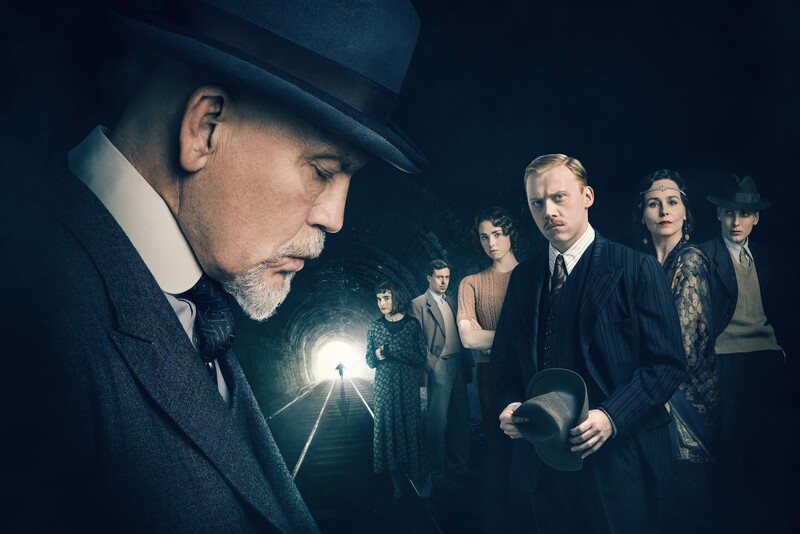 John Malkovich is stepping into the shoes of Hercule Poirot for BBC One’s The ABC Murders, adapted from the book by Agatha Christie. The Being John Malkovich and Dangerous Liaisons star will mark the return of the Belgian detective to television, following many years of David Suchet making the role his own on ITV. We join Poirot in the 1930s, a time when the nation is dangerously divided and suspicion and hatred are on the rise. In the midst of this, Hercule faces a serial killer known only as A.B.C. First the killer strikes in Andover, then Bexhill. As the murder count rises, the only clue is the copy of The ABC Railway Guide at each crime scene. Poirot’s investigations are thwarted at every turn by an enemy determined to outsmart him. If Poirot is to match his nemesis then everything about him will be called into question; his authority, his integrity, his past, his identity. Malkovich will be joined by Rupert Grint (Harry Potter, Sick Note) as Inspector Crome, Andrew Buchan (Broadchurch, The Honourable Woman) as Franklin Clarke, Eamon Farren (Twin Peaks, Chained) playing Cust, Tara Fitzgerald (Game Of Thrones, Requiem) as Lady Hermione Clarke, Bronwyn James (Harlots) in the role of Megan and Freya Mavor (The Sense Of An Ending, Sunshine On Leith) as Thora Grey. While Malkovich’s casting carries major star power, though, the most exciting name on the project is behind the camera: Sarah Phelps is adapting the 1936 novel for the BBC, continuing her remarkable run of Christie adaptations, following And Then There Were None, The Witness for the Prosecution and Ordeal by Innocence. Te one off three-part drama continues BBC One and Agatha Christie Limited’s unique production deal that will see Agatha Christie Limited and Mammoth Screen deliver six more Christie adaptations. Elseworlds: Where can I watch the Arrow-verse crossover?